We are looking for a brilliant junior Python developer to join our team. You will have the chance to work on a very large Python and Django project with an international team of developers. A great opportunity for improving your skills and getting familiar with the latest technologies and best practices. Reckon Digital is a new type of technology consultancy. We specialise in creating software for complex systems while still using a lean and agile approach. Our vocation is to be reliable and insightful as a large consultancy, but approachable and dynamic as a small agency. Familiarity with Python is required. The ideal candidate will be able to work autonomously on a GNU/Linux Operating System, including the command line interface. Software development using Python and the tools and libraries often used in combination with it, including the Django framework, libraries for testing, versioning control systems, Docker, and AWS. The apprentice might be asked to support more senior developers, for instance with some QA and testing. 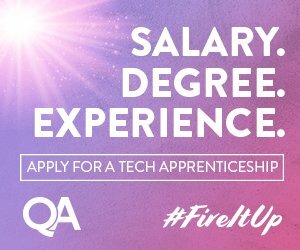 The apprentice will get feedback on their work and there will be the opportunity to do pair-programming with more experienced developers. Under our guidance, we will let the apprentice familiarise with the different stages of a project, from business analysis to testing, from deployment to maintenance. The apprentice might be asked to collect requirements and change requests and insert them as tickets in our bug tracking system. The apprentice will have the opportunity to take part in some of the technical meetings where strategic (software-wise) and architectural decisions are taken. The apprentice will be asked to provide detailed reports of their activity (time reports). There will be opportunities for learning new technologies and for discussing things in an open and welcoming environment.